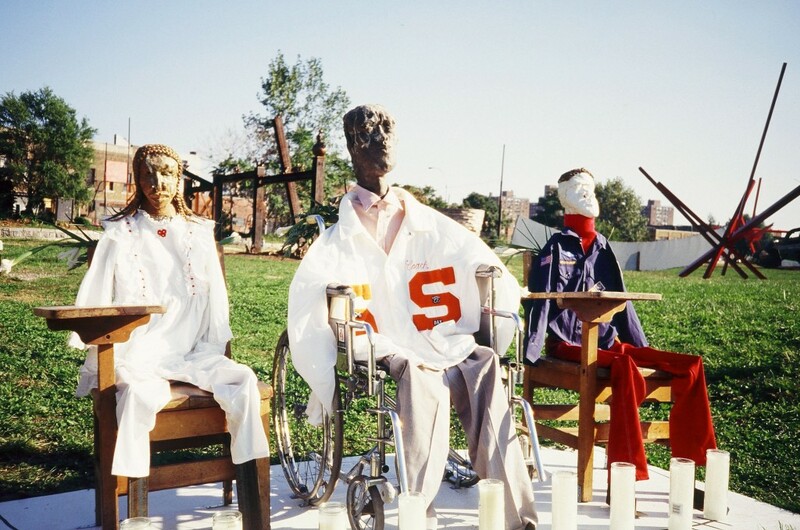 During my residency at Socrates Sculpture Park I produced two outdoor sculptures. The first, called Thanking the Source of Civilization was located outside of the park on a small beach on the East River. The piece consisted of four figures carrying a ritual boat to the river. The figures represent Babalorishas; priest in the Lukumi tradition; giving thanks to Oshun. Oshun, which literally means "the source" in Yoruba is an Orisha (chosen head) of the river. In the Lukumi tradition is the source of civilization. New York is a perfect example of a civilization that was born on a river. The beach on which I installed this sculpture is known by devotees of the Lukumi as a place to give thanks to the river for supporting the civilization they depend on. The second sculpture, Chair for our children -- Chair for our elders is a sculpture dedicated to my ancestors; not the ones that have passed, but the ones that are coming. 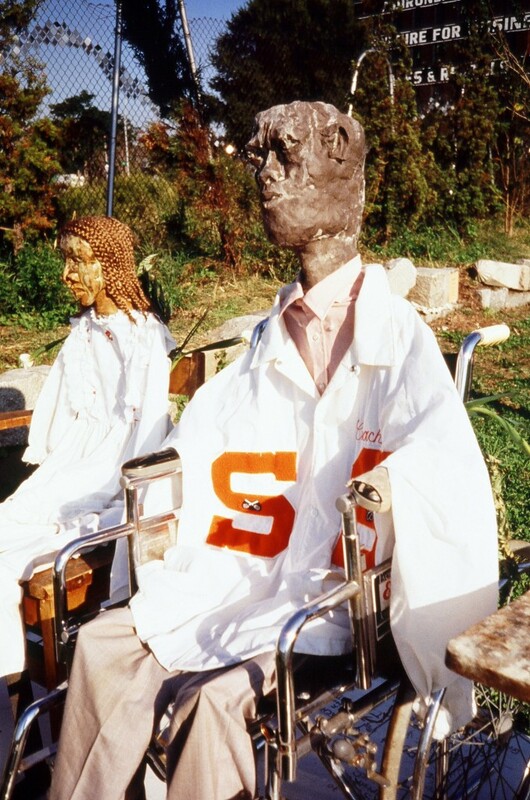 The sculpture consists of three figures: an old man in a wheelchair, with a young boy and a young girl in school chairs on either side of him. The old man in the wheelchair represents my Great-Grandson; he is siting with his Great-Grandchildren. This sculpture represents my ultimate dream for my Great-Grandchildren to know me as I knew my Great-Grandparents, creating a line of living oral history that would be a greater legacy than anything one could accumulate in one lifetime.